Touching upon a finer subject that might make or break the long term success of any female weight trainee. More and more women are now a part of the lifting and weight training fraternity. Cults such as Crossfit have actually done an invaluable favour by letting the females partake in progressively stressing resistance training that they had rarely been exposed to during their lives. Needless to say, all of this has resulted in the evolution of the feminine physique as a very mesmerising development in the annals of strength, health and fitness Women now have better role models to look up to. They now have better and more scientifically designed programs to follow. The days of mindlessly hogging on the treadmills or other cool new cardio gimmick in the gym are now over. I used to believe that the exact same programming strategies that I use for my male clients would work equally well to deliver results with the females. For a long time I have been overlooking one most inherent and fundamental feature of the female anatomy: the menstrual cycle. As perpetual as it is, trying to fit the conventional programs into a month long physiological dilemma would once again be, fitting square pegs in round holes. Not until recently did it dawn upon me about how several females actually are having a tough time dealing with the undulating stresses that a linearly programmed workout can create. No matter how much the general narrative might try to hammer the facts otherwise, when it comes to training, men and women can seldom be equal and will always have differences in the ways their bodies respond to exercise stress. Often in a zeal to make effective programs quickly, Several coaches might resort to completely ignoring these phases and how women respond to exercise during them. This ultimately results in the missed training sessions. Female trainees hence get demotivated from training and eventually fail to get connected to the ideology of getting stronger and fitter to reach all their fitness goals. At best, another TV commercial fitness expert might make her believe that cardio is the only solution to all the problems of her life. It thus makes sense that coaches should make a constant effort to observe patterns in female training and take notes. This information is a deadly input for designing a fool-proof and automated approach to bring down the level of woes faced by them and ultimately coming up with a program that never surrenders to Menstrual pain. Often male trainers are also advised with practising a touch of sensitivity while discussing this subject with an incoming female client. However, with experience, this should definitely be included in an interview/inquiry with the client, since I feel there can be nothing that can benefit the weight training woman more than a coach who knows how she is going to perform during a said week. This post is also intended to serve as a thought provoking article and I encourage the female audience to keep contributing to the content to make it a good reference point to help design women's exercise programs. This becomes of enormous importance during the phases when the insufferable pain and menstrual cramps result during Premenstrual syndrome (PMS), especially among women aged between their late 20s and their early 40s. This is one of the most devastating aspects of designing a female training program and forms the centrepiece of an approach like this. Now why would that be? To understand that, let's take a brief sneak peak at how the female menstrual cycle's basic structure. 1. Menstrual phase (From day 1 to 5): Since blood discharge is comparatively nominal during this phase, significant strength training can be done here. Be wary of the occasional abdominal cramps though and avoid direct ab work that can severely aggravate intra-abdominal pressure. 2. Follicular phase (From day 1 to 13): Day 5 onward, till 13, it's predominantly a time when the pituitary gland secretes a hormone that stimulates the egg cells in the ovaries to grow. Here's the phase where maximum strength training can be incorporated since the situation with blood discharge and cramps is marginally under control here. This gives us a good week long window to have a controlled training phase where we can stop at any time discomfort is experienced. 3. Ovulation phase (Day 14) - This one's the key. Oestrogen secretion can peak here and needs to be tapped. Now, this is not writ in stone to be the 14th day only, but this is more like a ballpark figure looking at the average cycles of women. 4. Luteal phase (From day 15 to 28): While oestrogen release peaked during the previous phase, this phase is marked by a simultaneous rise in progesterone levels. An effective scheme that any female trainee might prefer to indulge in is to plan their training programs in the form of micro cycles. A micro cycle is a duration that can be imagined as roughly a week long period during a training block. Although a week can be a very small period when it comes to developing a new skill, physical quality or fitness results, still, looking at the bigger picture, from month to month, a consistent approach with repetitive occurrence of a particular micro cycle every month can lead to specific adaptations based on most women's goals. Now, I am so sure that the majority of women reading this blog have the goal of long lasting fat loss. As such a program to tackle that goal becomes incomplete without inclusion of a healthy mix of progressive weight training and steady state cardio (yes, there's pace for that on a program where we are dealing around the menstrual cycle). 5. Some Form of core activation/ Loaded Carry: Remember, this is the tricky part. Although sufficient core activation is necessary to hit the mid section properly, we should refrain from overemphasising high tension exercises. Planks, Paloff Presses or farmer's walks should be alright. Basically we try to train the anti-rotation and anti-extension capability of the core musculature here. And a steady state cardio activity that can be included and excluded based on the degree of discomfort or pain being felt during a week. Since each of the four phases of the menstrual cycle lasts roughly about 7 to 15 days, with the luteal phase being the longest one, the smartest approach to tame this problem is to plan our microcycles based on the individual length of these periods. Remember, since the duration of the menstrual phases vary very much from female to female, it is thus a subject of heavy individualisation and tailoring. For more enthusiastic women, Training 4 days a week is also an option subject to, again, autocoregulation. There is a comparatively little level of discomfort during this phase. The overall intensity should be moderate at best during this week and volume must be emphasised. For example 3 sets of squats for 10 repetitions each done with a moderately heavy weight can help generate a productive training effect. The trainees can have a minor blood discharge during the later days, ie days 4,5, 6 or 7. On such days, if need be, a regular training session can also be substituted with a minor one. This can be done by cutting the total number of repetitions to half on all exercises. You can also include a steady state cardio activity such as neighbourhood runs or brisk walks on such days to prevent metabolic damage. Due to sudden abdominal cramps experienced during the later days of this phase, try to keep all your core strengthening moves only during the first one or two training days here. 2. Micro cycle 2: (Day 8 to Day 13): The Follicular Phase. Since there are sudden increases in Oestrogen levels during this phase. There is also a rise in the neurotransmitter called Serotonin. There is also a slight elevation in the mood. As such forming new habits or acquiring newer skills is easier in this phase. Hence during this phase, trainees can experiment with minor increases in poundages. Remember, at all points of time, an eye should be kept upon any kind red flags. The rule of substituting a training session with a light activity such as cardio still stands during this phase. By the way, if you intend to start a new diet program, this phase is also a good time to give it a start. The later days of Follicular Phase can have PMS symptoms ranging from excessive mood swings to painful cramps that can severely hamper performance. Day 14 to 15 are expected to have ovulation occur ideally Oestrogen levels are usually rising here. The starting day of this micro cycles is based on the day roughly when ovulation occurs. By now, you can steadily start upping the intensity of your program. During the late luteal phases a lot of binging can happen. Mood swings can be quite higher during these weeks. To prevent the cravings to damage your hard earned gains during this period, try to get in more sugar around your workout timings. Inclusion of sugars in the form of pre and post workout meals can also protect you from getting lethargic. Chocolate is said to be one of the strongest mood alleviating substances. During the rest of the day, a little consumption of dark chocolate can help with some antioxidant boost to fight free radical formation as well. It can also help resist the temptation to eat something far more dangerous to your fat loss goals. Now, coming back to the original goal of fat loss, it is expected that you are actively trying to create some form of caloric deficit in your diet to achieve fat loss/weight loss. 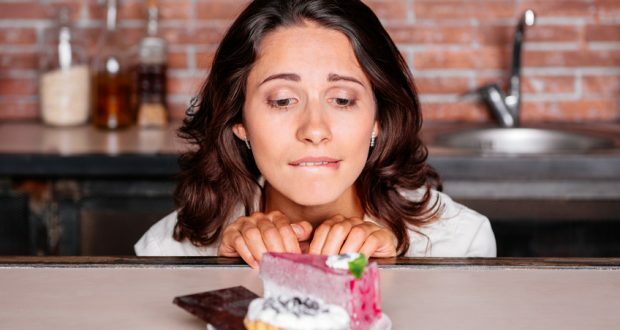 Due to the aforementioned symptoms of cravings and mood swings, Calorie deficit may not be on mark during the fourth week of your training block. At this point, you can go back to you maintenance number of calories, maybe even a little above it, for a week as a strategy. Many women might have a tough time accepting this but this slight increase in the calories is actually better than an unplanned binge disaster that can turn the entire program into a shipwreck. Remember, one bad eating day can devastate an entire week's progress in many cases. I hope this little piece serves as a starting point to countless evolutionary programming patterns in the times to come and can help women design efficient strength training programs that can help them train through PMS pain and never let them miss sessions. Remember that this is only an outline and can be used as a gound for designing even better strength training programs for female athletes and even general pop females. If you are awestruck with this blog, do share it with as many female athletes and fitness enthusiasts that you know as possible. 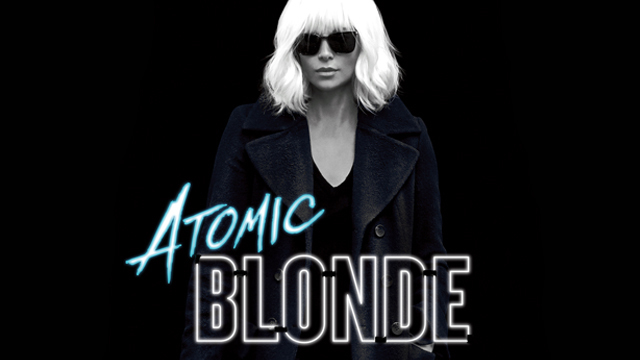 Who knows this can get you another step closer to becoming the Atomic Blonde.